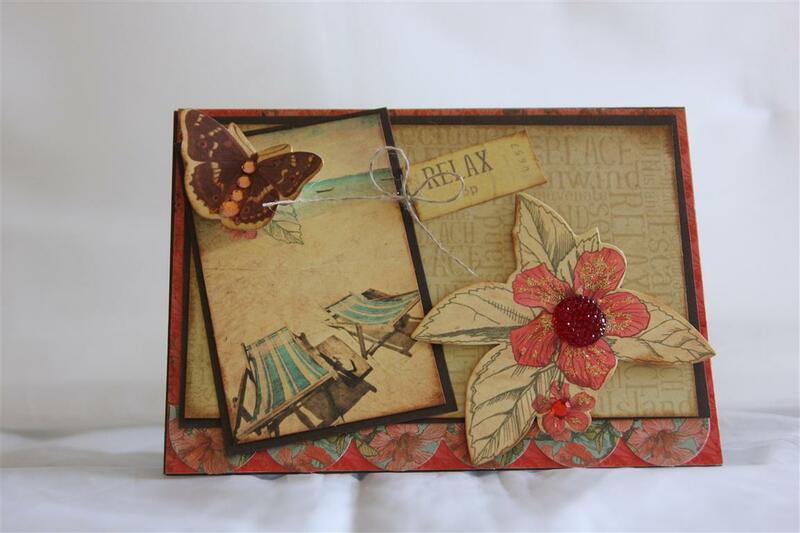 The paper i used here, and for the next few posts is from Prima, Anna Marie range. 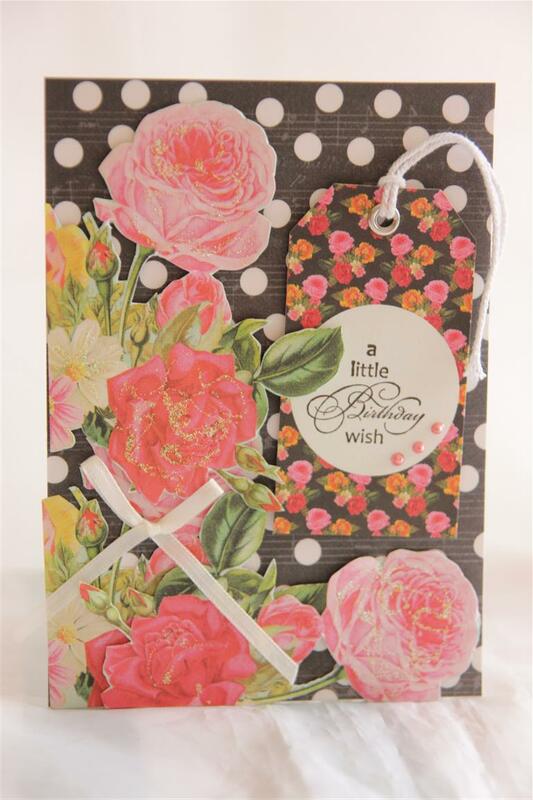 it has gloriously bright colours, and I made good use of the matching tags.For this card I fussy cut a piece of the 12 x 12 paper that is covered in flowers, did a couple of layers of that, and added a ribbon bow , stamped my tag and used a little liquid pearls to finish.thank you all for get well wishes,still not 100%, but had a great morning with my ladies which cheered me up no end! til tomorrow…. 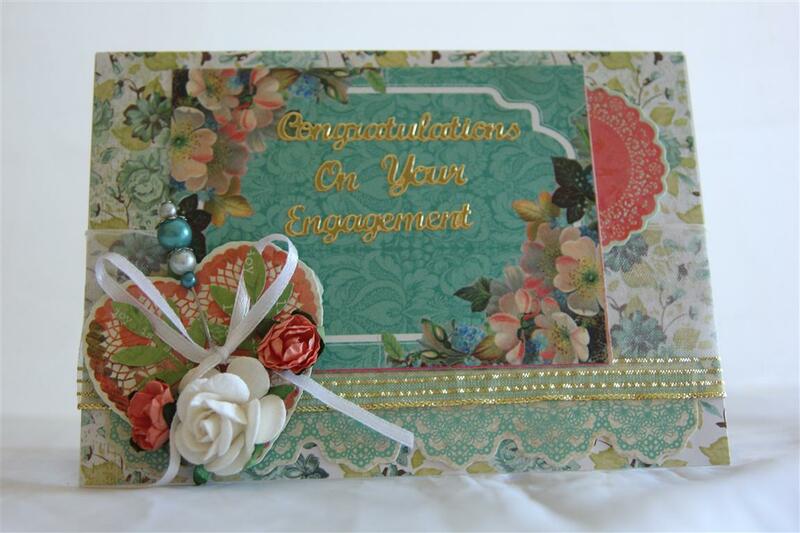 i am loving the bright colours of this paper _ kaisercraft Tea Party. 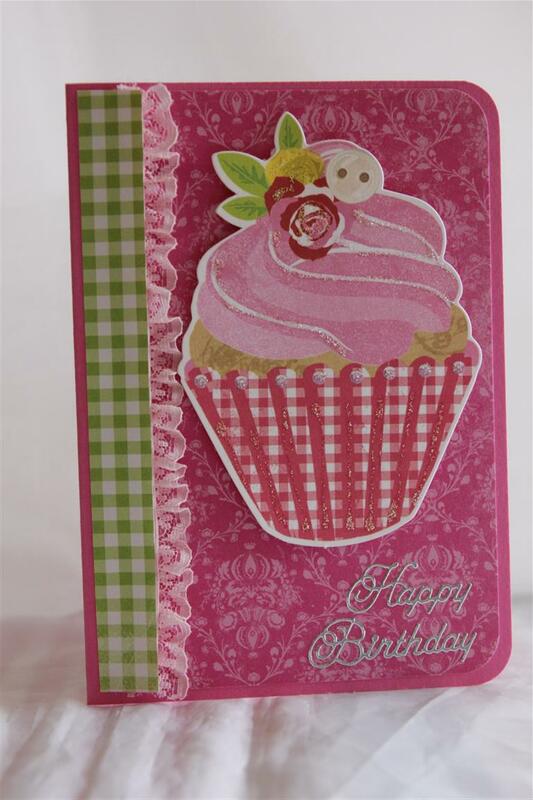 Here I used the 6″ pad for the bottom layer on stampin up cardstock for the card base. The cupcake is from the collectables pack, and I added another strip of paper down the side with some lace. I added some kindyglitz to the cupcake for some bling. 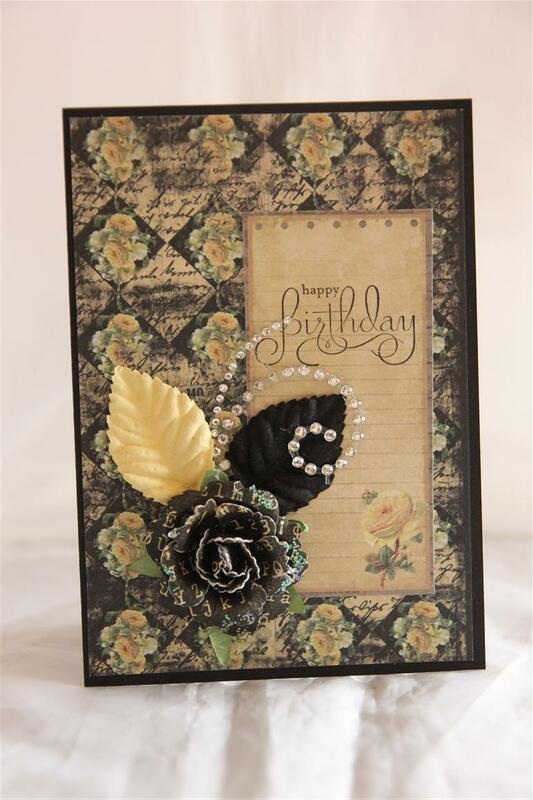 I am busy today making some card for an order, a few more to do, then plan out my december lessons! til tomorrow….. 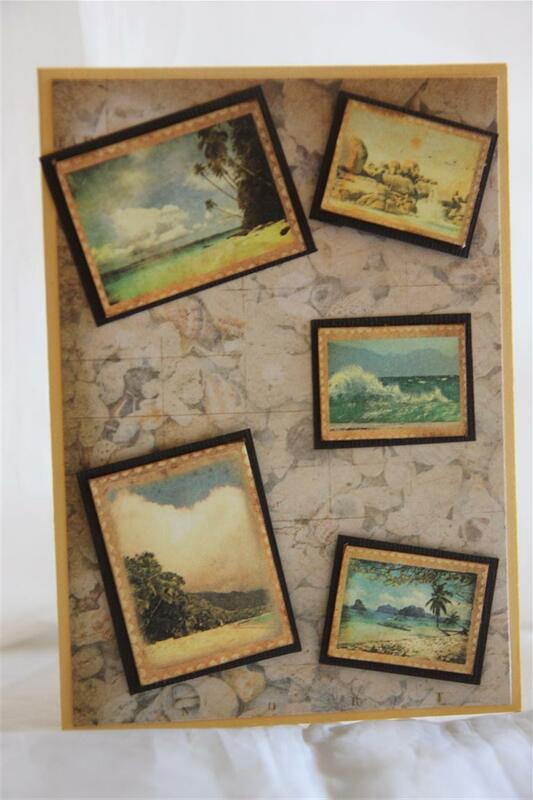 This third card is made with Kaisercraft tropicana 12 x 12 ” papers. I matted each image onto Stampin Up early espresso cardstock, and the card base was made with Stampin Up so saffron.I have had a busy week this week, what with work and my card classes, and in between I have been trying to sort out all my ribbons, buttons, flowers etc into see through containers to make them easier to find. I will continue that tonight, then I should be all organised for the week end! Til tomorrow….